Panama is the southernmost country of Central America and a microcosm of the region’s rugged beauty, rich history and year-round warm weather, filled with natural and cultural treasures. 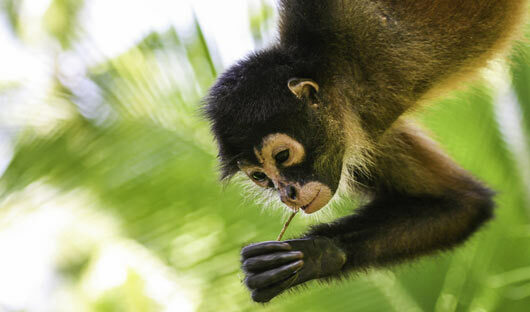 Whether you are interested in exploring the Panama Canal by boat or train, seeing the historic buildings and sites, enjoying a natural history tour, bird watching, arranging a family adventure or a jungle expedition, Panama is a surprising destination just waiting for your discovery. At South America Travel Centre we know that it can be hard to know where to begin when planning your holiday. Because of this, we specialise in meticulously creating a unique, tailor-made itinerary specifically for you and your interests. This may include visiting the Panama Canal, the San Blas islands, Coiba Island or simply wander the streets in awe of the history of Panama city. Contact us on 1300 784 794 to see where your journey to Panama could take you. Home of the Kuna Indians who were granted regional autonomy to protect their unique culture, forming the ‘Comarca’ (autonomous territory) of Kuna Yala where to this day an indigenous congress rules. The San Blas islands are a group of islands in the archipelago de San Blas, located in the Northwest of Panama facing the Caribbean Sea. There are 378 islands within the archipelago and they are scattered around in an area of about 100 square miles. The majority of the 378 islands have no inhabitants, but on the larger ones you will find the gentle native people known as the Kuna’s. 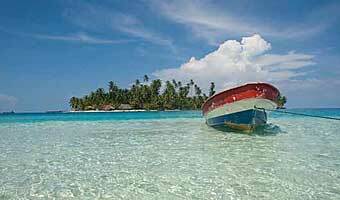 The San Blas Islands are the number #1 holiday destination in Panama. This is because the Islands have not yet discovered mass tourism; they are controlled by the Kuna people. The Kuna people are very proud and protective their lands. You will sleep in eco-friendly accommodations Yandup Island Lodge being one of the best. One of the world’s greatest engineering and scenic marvels – a major shipping canal connecting the Atlantic and Pacific Oceans, obviating the need for the long and treacherous voyage via the Drake Passage and Cape Horn at the southernmost tip of South America. 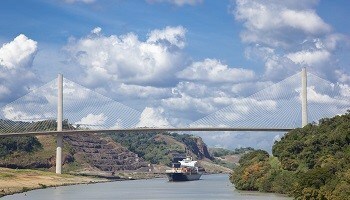 The Panama Canal Railway, built between 1850-1855, was the world’s first transcontinental railroad. 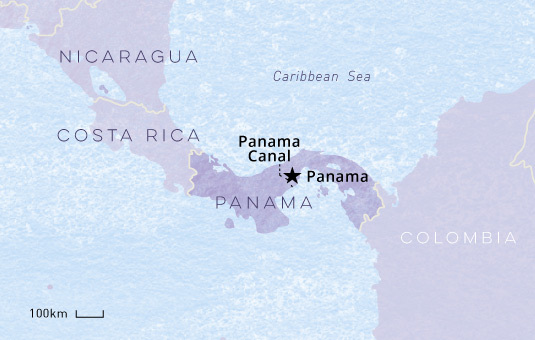 It stretches across the isthmus of Panama from the Atlantic Ocean to the Pacific Ocean. The train ride will take you alongside the magnificent waterway to the west, flanked by the exuberant rainforests of Soberania National Park to the east. There are sixteen species of birds in Panama, classified as Globally Threatened; some of the most splendid are Bare-necked Umbrellabird, Resplendent Quetzal, Three-wattled Bellbird and Yellow-billed Cotinga. 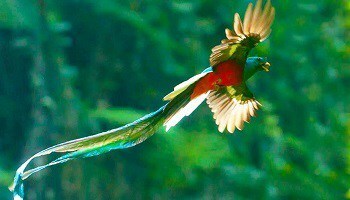 Panama is an excellent place for bird watching and has just over 1,000 species recorded, 11 of them are endemic, and around 107 species are regionally endemic. Top class design and the finest facilities. Usually located in a spectacular setting it may be an exclusive hotel in a meticulously restored historic building, or recognised as the leading property of an international chain. 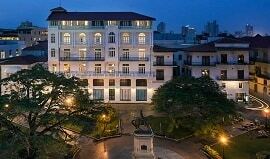 Opened in 2014, the Villa Palma Boutique Hotel is a fabulous boutique hotel located in the old town of Panama City. 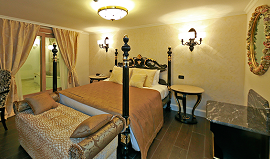 It has 14 spacious ‘European styled’ rooms with an combination of distinguished design, elegance and high-class. equipped with everything you need for a very comfortable stay. High quality with an excellent room standard, a full range of facilities and first-rate service; may be a new property or regularly refurbished with attention to ongoing maintenance. 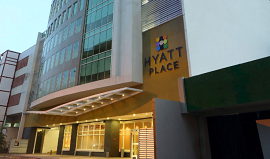 Tourist-superior and tourist class accommodation is also available. For more information on the accommodation we offer, call 1300 784 794 or email contact@satc.com.au. South America Travel Centre can look after all aspects of your holiday, including flights and travel insurance. We start by asking you what your interests are and where you are interested in, when, for how long, what standard and style of accommodation. Once we have a good understanding of just what you’re looking for, we can begin to create a holiday to meet your time and budget requirements and, most importantly, that will deliver interest and enjoyment in an experience to exceed your expectations. Please book early. Many of the hotels, lodges and cruise vessels we recommend are relatively small. This exclusivity combined with high demand means they can be booked out up to 6-8 months in advance. If you’re thinking of travelling during any major holidays like Christmas, New Year and Easter, or during any festivals, our advice is simply to book as early as you can, even 12 months or more, and we can add flights as soon as they become available. Australian citizens do not require a visa to enter Costa Rica. You will need to hold a valid passport and have a return ticket when you arrival. Vaccinations are advised for common diseases like Hepatitis A and B, Typhoid as well as Influenza. There are no compulsory vaccinations. We advise you to consult a Travel Doctor specialist prior to departure to assess any health risks in relation to your medical history and travel plans. We have access to a wide range of airfares and have excellent relationships with our key airline partners. Our two main airline partners in Latin America are LATAM Airlines, QANTAS Airlines and Air New Zealand. We can also arrange internal flights for you within Latin America. Irrespective of whether you book directly with us or with your preferred travel agent, we’ll request the details of all of your fights to ensure if there are any changes your transfers and other arrangements are adjusted accordingly. 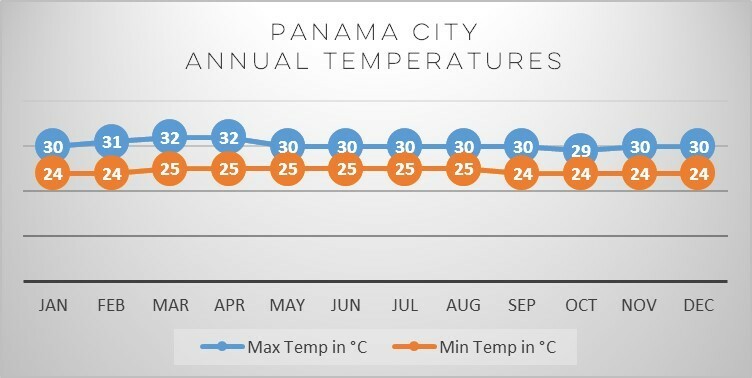 Being a tropical climate, you can expect to experience a lot of humidity throughout the whole year in Panama. 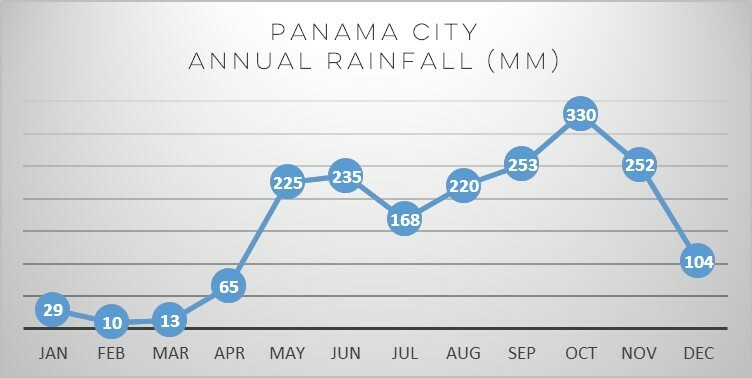 Areas in the Caribbean receive notably more rainfall than that in Panama city. Average yearly temperatures vary between 24°C-29°C. mid-December- mid-April is the dry season. April-July you can expect to experience sudden, heavy thunderstorms in the afternoon, short in duration. We cannot recommend Hayley from South America Travel Centre (SATC) more highly. Our entire trip was planned perfectly from the second we left Sydney. Not only did she incorporate all of our preferred destinations, Hayley also made suggestions on additional places based on our preferences and some of these turned out to be the highlights of our trip! We tend to be more independent travellers and Hayley was able to create the perfect mix of seamless travel with the flexibility for us throughout the journey to take advantage of any unexpected opportunities that arose. The guides at every location were extremely knowledgeable and offered excellent suggestions on everything from safety through to restaurants and laundry locations. I absolutely cannot fault the services provided both locally and in Australia from the SATC team. Each pickup/drop off was on time. My guides were very friendly, had great English, and were passionate about what they did. All hotels were faultless. I would have to say that Andrea from Buenos Aires was the best guide of a fantastic bunch. Andrea was there to greet me on my first arrival into BA, took me to the ferry for my trip to Colonia and made sure I was checked in, and was there to pick me up. She was also there to send me on my way to Ushuaia at the ungodly hour of the morning and pick me up again after the cruise, to sending me on my way the next day to Iguazu. I was most impressed at the efforts the guides went to in order to streamline the check-in process at the airport, making sure I got to the immigration area. I have never seen or experienced such attentiveness or helpfulness. Thank you for putting this trip together for me, it was the best trip that I have been on, and I have done some out there trips. From the hotels, to the destinations, the ground arrangements, everything went off without a hitch. I truly appreciate what you did to make this trip amazing. Our trip was absolutely outstanding thank you so much for your incredible efforts in what was such an incredibly short turn around. We are so grateful, it was the most amazing trip and every day was as good as the other! Anyone who has asked about our trip or has mentioned they are travelling or wanting to travel to South America I have put them straight onto South America Travel Centre. Thank you for all of your prompt responses, quick turn around and thorough knowledge, understanding, expertise and advice. Your service was second to none. It was outstanding and we are truly grateful. Please pass on our gratitude to the wider team as well for helping pull a once in a lifetime experience together for us in three days! We are so thankful for the afterhours and overtime you put in also, we couldn’t have had the amazing trip that we did at such late notice without you.